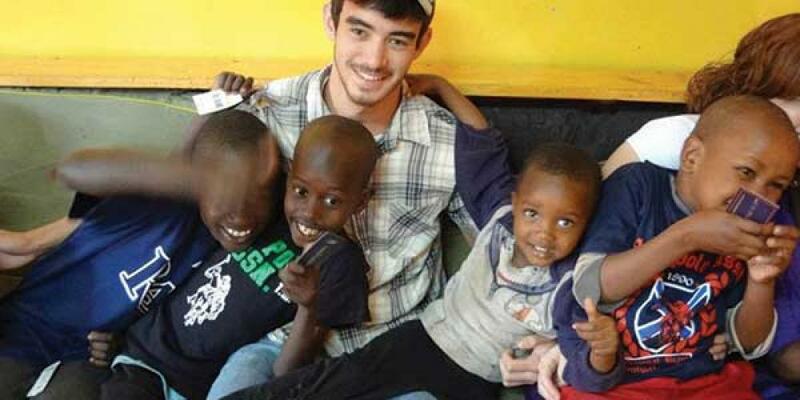 I had been teaching at an orphanage in Rwanda* for two months, and everything was going smoothly. The food no longer seemed strange, I had learned a bit of the language, I could navigate around town by myself, and I even enjoyed being woken up at six o’clock every morning by kids wanting to play. I had gotten past the initial struggles of loneliness and culture shock and was beginning to adjust to life. Then suddenly, I was informed that the Rwandan government had changed their visa policy due to a new law that required incoming teachers to have a university degree. Since I didn’t have a degree, I sadly prepared for my last month at the orphanage, understanding that I would be allowed to stay in the country for three months. However, when I double-checked my visa, I noticed that for some reason it expired the very next day! I called the president of the Rwanda Union Mission to ask what I should do, and he told me that I would need to evacuate the country immediately. That evening I packed my belongings, trying to come to terms with the revelations of the past 24 hours. The children and I spent the remainder of our time enjoying each other’s company—taking pictures, talking, and recalling some of the fun times we’d had together. At five o’clock the next morning a car arrived to take me to the airport where I would fly to Nairobi. Holding back tears, I hugged the children and said goodbye, trying to put a smile on my face and a positive spin on a situation that none of us understood. I arrived at the airport with no ticket and very little money. When I approached the check-in counter, I explained that all I knew was that I was supposed to fly to Nairobi. The woman at the counter printed a boarding pass and handed it to me. It was then that I realized that the union president had made arrangements for my flight. When I went to check my baggage, I was informed that I would have to pay an excess baggage fee. I explained my situation and after a bit of pleading, they agreed to reduce the fee to $20 dollars. The plane whisked me away from Rwanda, my first experience out of the United States, and the place that taught me so many lessons about life, love, and trust. Arriving in Kenya, I was required to pay a $50 visa fee to enter the country. I had $55 in my pocket. I had been relying on God completely, and now my faith that He had a plan for me was increasing. As I walked out of the airport, I saw a group of people holding signs with names on them. Hopeful, I scanned the crowd and sure enough, a woman was holding a sign with my name on it! Breathing a huge sigh of relief, I told her how excited I was to see her. Then I asked her what the plan was. She led me to a taxi and told me that the driver would know where to take me. When I asked the driver where we were going, his answer was, “SDA.” That was enough for me. Exhausted, I fell asleep, awaking an hour later to hear the driver say, “You’re awake just in time to see it! It’s at the top of the hill. SDA.” As we approached the crest of the hill, I saw the gate to Maxwell Adventist Academy. Adventist Volunteer Service (AVS) had made arrangements for me to become part of the volunteer staff at the school, and I would spend the next several months teaching and tutoring and learning about a new culture. But most important, I learned to trust God even when I couldn’t see the big picture for myself. Originally from the United States, Eric Drab served as an academic tutor for math, science, and English at Maxwell Adventist Academy in Kenya. * This position was not processed through the office of AVS.